The Coman tiebreak is used for USTA matches. 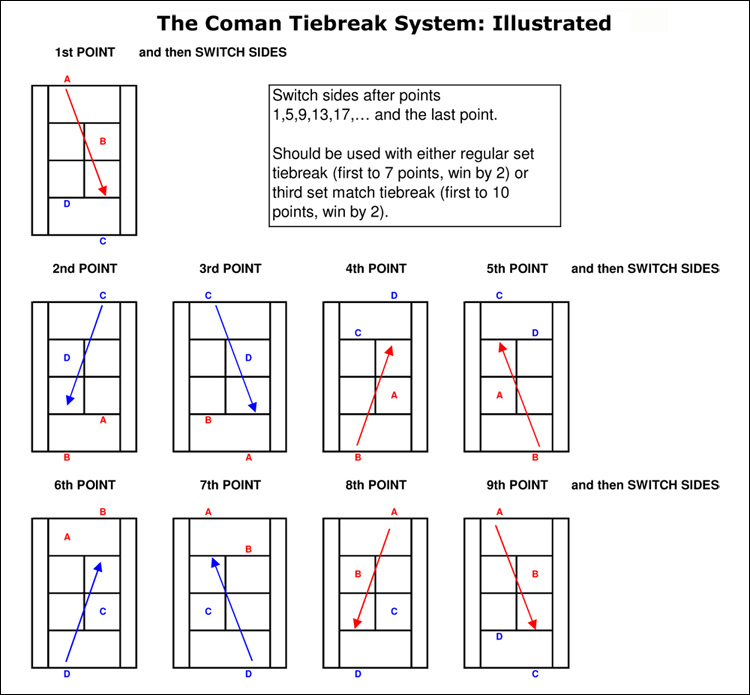 The procedure is identical to the regular tiebreak procedure except that the players change ends after the first point and then after every four points, and at the conclusion of the tiebreak. Third-set Match Tiebreak: First to win 10 points by 2 points, wins match. After the first point, the players shall change ends and the following two points shall be served by the opponent(s) (in doubles, the player of the opposing team due to serve next) starting from the ad court. After this, each player/team shall serve alternately for two consecutive points (starting from the ad court); changing ends after every four points, until the end of the tiebreak game.